The Because Project: Former Governor James Douglas | Because Project | Kids VT - small people, big ideas! The exciting turnaround season of the World Champion 2013 Boston Red Sox brings back my childhood memories of New England's team. I recall attending games at Fenway Park with my dad even before I could understand what baseball was all about. I also remember being intrigued by the team's official charity, the Jimmy Fund, an effort dedicated to helping children with cancer. While still in elementary school, I decided to organize a fundraiser for the Jimmy Fund in our yard. I charged my family and neighbors modest fees to take their chances at games of skill, such as throwing a bean bag at a target. I raised less than $10, but I received a very nice letter from the Fund thanking me for my efforts and explaining that every amount, no matter how small, helped the cause. That experience cemented my affinity for the Red Sox. Years later, as governor of Vermont, I had the opportunity to meet Mike Andrews, the all-star second baseman who has served as chairman of the Jimmy Fund for nearly three decades. I even got to throw the first pitch at Fenway — yes, I was nervous, but it crossed the inside corner of the plate at the knees. More importantly, though, my first Red Sox-inspired fundraiser contributed to my interest in charitable endeavors later in life. I've helped with a host of fund-raising campaigns since then, often as a board member for nonprofit organizations. Before getting into government full time, I served as the executive director of the United Way of Addison County. 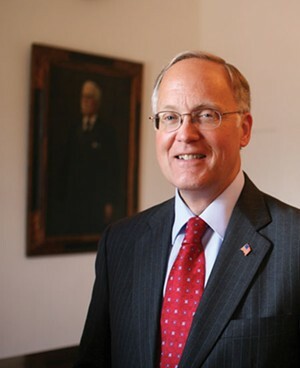 I'm currently helping to raise money for the Calvin Coolidge Memorial Foundation and am honorary cochair of the capital campaign for Lund, a nonprofit serving Vermont's pregnant or parenting teens and women, adoptive families, and children. I've learned that charitable efforts reward the donor as much as the recipient — there's a real sense of accomplishment when a goal is achieved or someone's life is improved. Over the years, baseball and helping those in need have become two of my favorite pastimes. I can't think of a better combination. Go Sox! Submit your stories for the Because Project! Email them to fagan@vtchildrenstrust.org. Submissions should be 300 to 600 words long and respond to the prompt "I am/decided to/learned to _______ because of ______." Kids VT will regularly feature these stories.